Since 1973 Blue Frost has been serving West Chicago and the surrounding suburbs. In 2009 Tom Byrne assumed ownership of the company and brought with him his years of HVAC contractor expertise. His persistence for excellence exceeds that of industry standards. This has led to Blue Frost becoming the premier heating and cooling contractor in West Chicago and all surrounding areas. We pride ourselves on one of a kind customer service that keeps our customers returning year after year for the same high quality service and commitment to our customer’s satisfaction that they have come to expect. Blue Frost only installs industry leading equipment like Trane furnaces and Air Conditioners. We also install the industries best supporting products to enhance your comfort such as thermostats, humidifiers and air cleaners to keep your home clean and comfortable. We feature these products because they give our customers the best value for the money. We stand behind all products and services we provide with guarantees that are industry leading and second to none! We service West Chicago and all of the surrounding communities. We provide seasonal maintenance to ensure your system is running efficiently and safely! 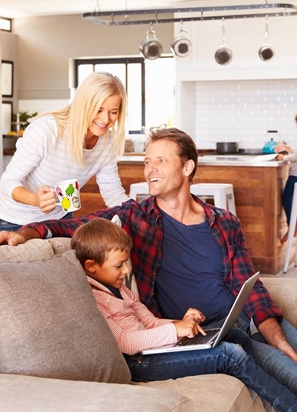 However; should your system fail, we have true 24/7 emergency service and installation to keep your family comfortable. Discover for yourself the Blue Frost difference just like your neighbors have been doing since 1973.